A blend of cultures and flavors, America is defined by recipes borrowed from nations across the world — Chicago style pizza, French fries and spaghetti and meatballs. And though some of America's most iconic foods weren't actually invented in America, the nation has developed mouthwatering and memorable adaptations of each. Feel free to fight us on these, but here are eight foods we think Americans do better than anyone else. Though the origins of the donut are unclear, it’s believed that this treat first arrived to America with Dutch immigrants under the identity of olykoeks, a deep-fried dough ball. 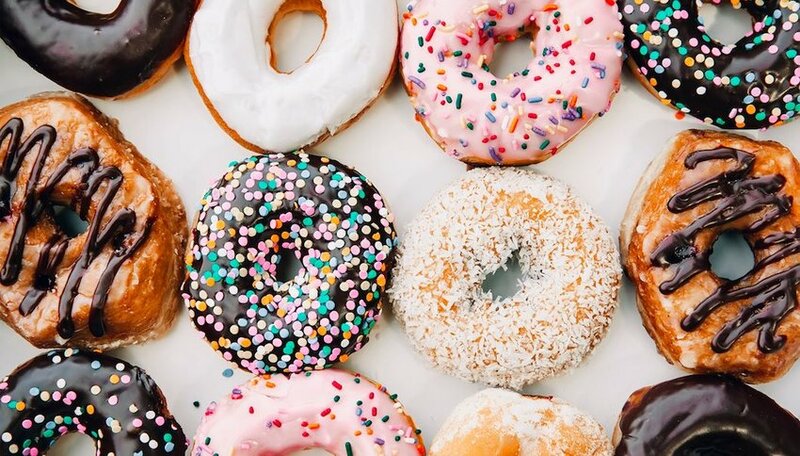 Sweetened and in the shape of a ring, the modern donut is generally finished with a dusting of confectioner's sugar, a generous spread of flavored frosting, or filled with jelly or cream. Donut connoisseurs will heavily contest for the best form of the treat — light and airy yeast donuts, dense cake donuts made of batter, or battered fritters. Americans have upped their game when it comes to artisanal donuts, and you'll find gourmet flavors like blueberry bourbon basil by Portland-based Blue Star Donuts. A traditional Hawaiian dish, poke (pronounced "poh-keh") consists of diced sushi grade sashimi strewn over a bed of steaming jasmine rice, finished with seaweed salad, scallions and sesame seeds. Ahi tuna and salmon are marinated in a soy or shoyu sauce. 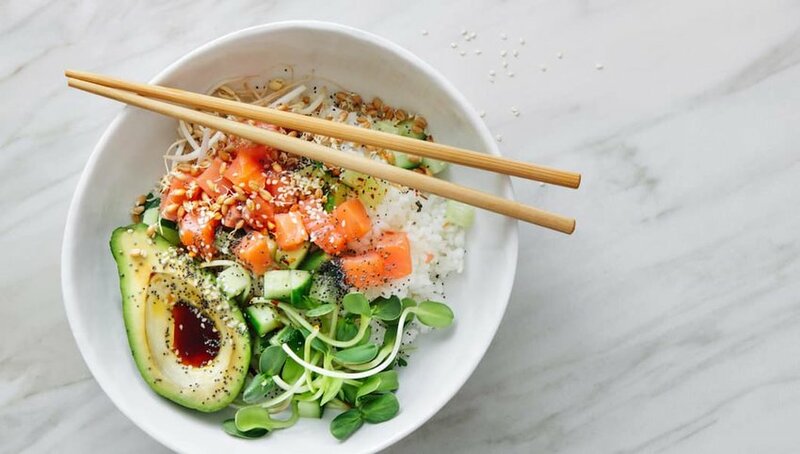 Though it's available ready-made at restaurants throughout Hawaii, specialty joints offer customers customizable poke bowls, with the option to add avocado for extra creaminess, or to garnish with crispy onions for textural depth. Native to the islands, poke is ubiquitous in Hawaii, and a common dish for families to serve as an appetizer at gatherings. 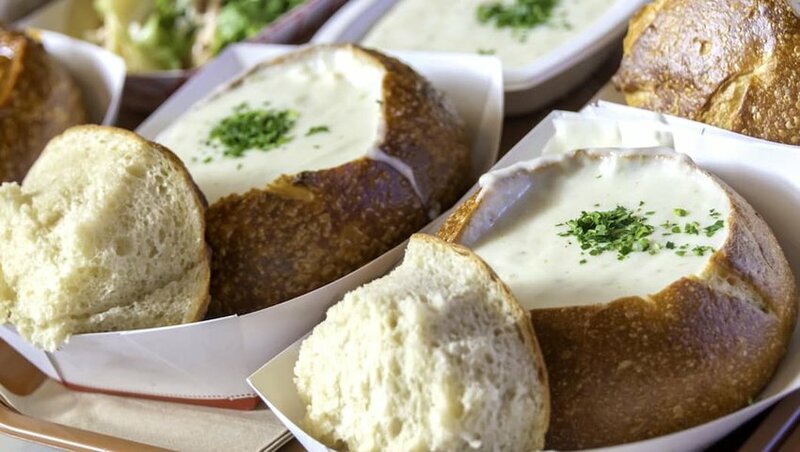 Clam chowder comes in a number of varieties, most notably the New England and Manhattan clam chowders. An iconic dish to Maine in America's northeast, the New England clam chowder is distinguishably white, with a milk or cream base for a thick and rich texture. Loaded with potatoes and onions, the New England variety makes for a hearty stew. In contrast, the Manhattan clam chowder boasts a distinct red color due to its tomato base, and pulls from a combination of carrots, celery and onions for a full flavor profile. No matter which variety you prefer, destinations across America compete to create the most satisfying bowl of this warm and comforting stew. 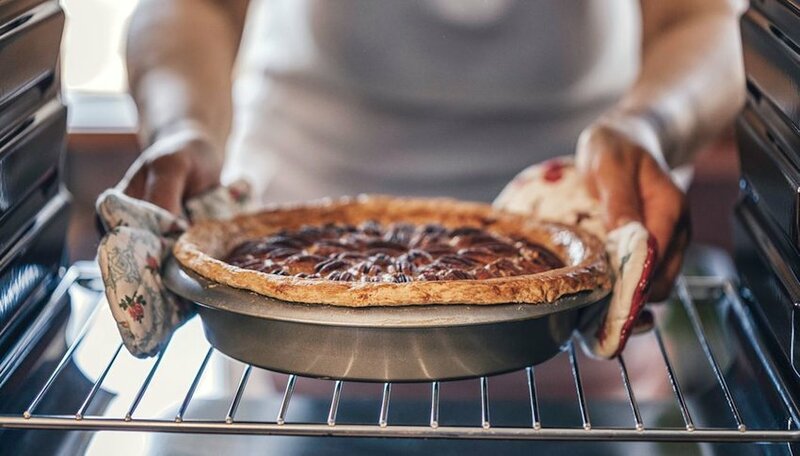 This delicious pastry came to America with the first English settlers as a savory meat pie, but has evolved to become a classic American dessert. A baked treat of flaky pastry dough encasing endless possibilities of sweet fillings, pies steadily invaded state county fairs and family picnics as a staple item, with grandmothers safeguarding each family's best kept recipe. Abundant in sweet key limes, Florida is home to the sumptuous key lime pie, while the South claims the invention of the nutty pecan pie. But across the nation, the tart apple pie remains America's traditional dessert. 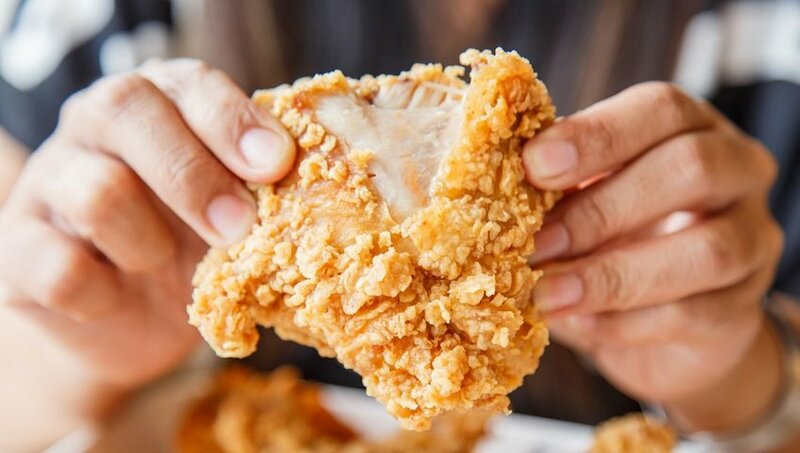 Served with a side of crispy fries as street food in Guatemala, and as a midday snack with a refreshing glass of domestic brew in South Korea, America's version of the fried chicken originated in the Deep South. Buttermilk, cornmeal crusted or breaded, the crispy exterior yet juicy interior of the fried chicken remains a favorite Sunday night dinner in this region of the country. Find spicy variations in Nashville, or classic comfort style in the New Orleans-based Willie's Chicken Shack. It should come as no surprise that the hamburger makes this list. And while the origins of this dish are murky, it's a staple in the American diet today. Make fun of us all you want, but America has taken the burger to new creative heights. Gone are the days of the simple patty and bun. Now, chains and local spots alike compete for mouths, piling their creations high with unique ingredients and condiments. Portable and satisfying, the modern sandwich was popularized in England in the 18th century. 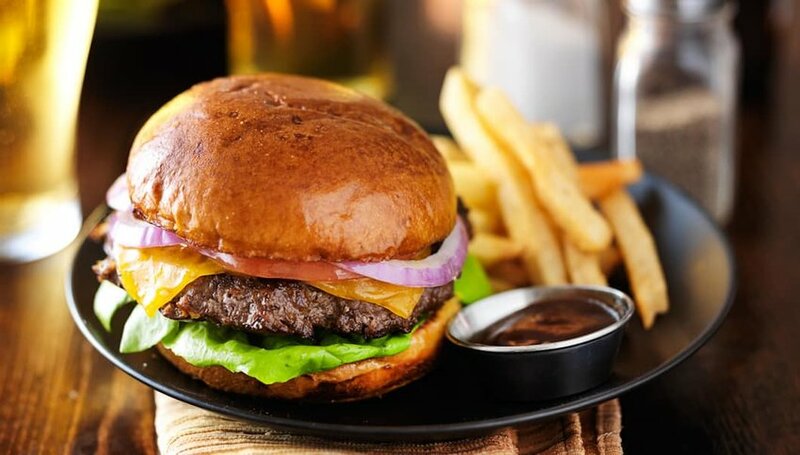 Nations across the globe have adopted the concept of placing meat, cheese and other filling between two slices of bread, and America has a few delectable renditions that compete on an international stage. 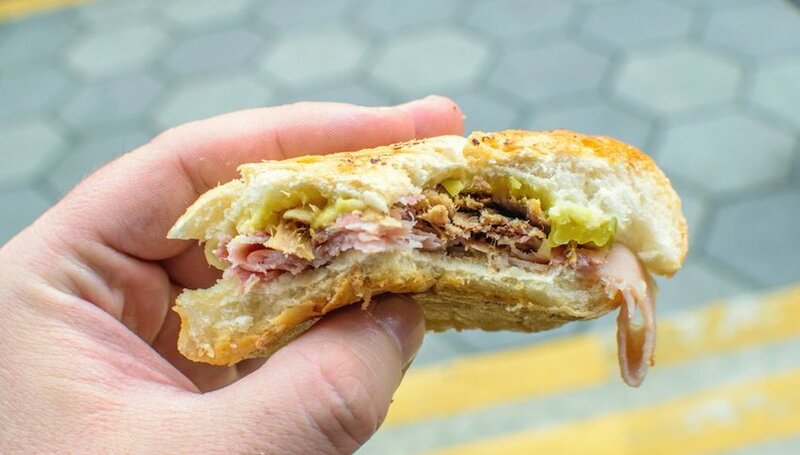 Created in South Florida, the Cubano catered to the region's growing community of Cuban migrant workers, offering a grilled sandwich of ham, cheese and pickles. And in Louisiana, the traditional po'boy consists of a blend of seafood, usually fried shrimp and oysters, served on a soft baguette all dressed, meaning it's topped with shredded lettuce, tomatoes, pickles and a spread of mayonnaise. 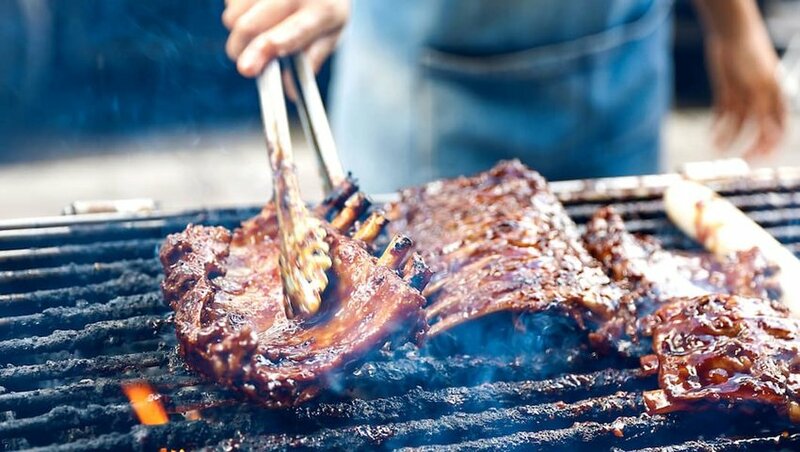 Seasoned, charred and smoked to perfection, a rack of ribs is the centerpiece to any backyard barbecue or hearty meal in America's Barbecue Belt. Spanning from Kentucky in the north to America's deep South, and from Texas in the west to the Carolinas in the east, the nation's barbecue crazed states boast a number of regional varieties in technique, rubs and sauces. But across the Belt, the components to any winning barbecue ribs are their tenderness, smokiness, and sauce to meat ratio.